I'm an indie author of fantasy tales blended with a hint of darkness. “Resurrection,” the first in the Kindred series of dark urban fantasy novellas, is now available on the Amazon Kindle store. 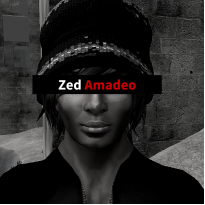 I blog about helpful resources for writers and book reviews of little-known or indie works at www.zedamadeo.com.